You can do a lot more with Google Analytics. Knowing what your website visitors are doing is a good start but you need to know why they’re doing it too. 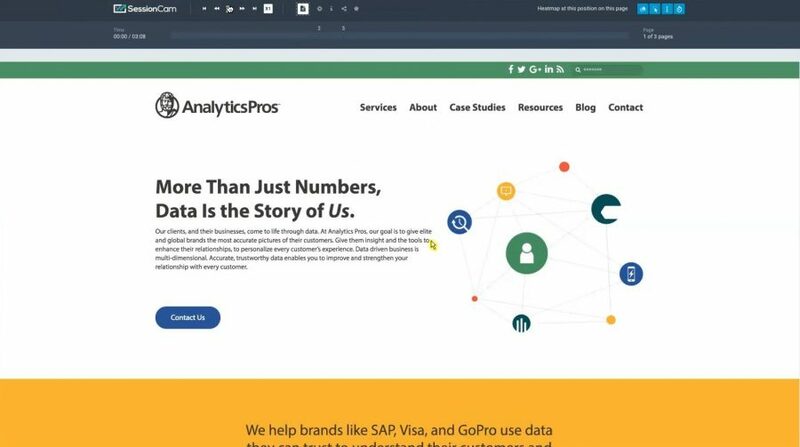 Bringing analytics together with session replay is a simple way to delve deeper into customer behavior and more easily identify bugs and website issues. Add SessionCam to your site using Google Tag Manager. If you’re not using SessionCam yet, sign up for a free starter account now. Watching session replays straight from Google Analytics lets you see both quantitative and qualitative data in one place. That combines the what from Google Analytics with the why supplied by session replay. Analyze your website traffic from specific campaigns the split your visitors into converters and non-converters. By playing back those sessions, you can see how the two groups interact with campaign content and if they behave differently. If you integrate Google Analytics with Demandbase, you can identify specific companies’ IP addresses. If you’re targeting those companies, you can the watch their sessions to see how they interacted with your site and incorporate that information into pitches. Take advantage of audience segmentation in Google Analytics. For instance, you could set up a segment of ‘engaged users’ — people who visit more than five times and visited a specific number of pages — then watch those sessions to more closely analyze their behavior. Get more tips on how to start using Google Analytics with session replay: Register now to get instant access to our free 20-minute webinar.